Art fairs have become an increasingly popular way of bringing pieces to the fore of the contemporary art circuit over the years; and though contrary to the purpose, it is often a difficult community to tap into without the necessary connections to elite individuals, money on trees, and a couple of blurbs in the local paper if one is an artist en route from publicity to credibility via small private group shows in the run-down warehouse conversions of East London proper. Perhaps a positive sign of things to come at its best exemplified by Damien Hirst’s recent dissidence by way of the landmark Sotheby’s auction, the establishment is facing a few challenges at the lower end of the spectrum: a forum more closely-aligned with the unknowns is gaining momentum at independent showings such as those associated with the newly-born Bridge Art Fair, springing up in culture capitals across the world to compete with well-established names and allow emerging artists a chance to put their work on display. And of course for hedge fund managers to try a hand at amateur art collecting as well — though that’s certainly not to say that all fairs ranging from the grass-roots to those of institutional proportions are entirely snooty, elitist and hedging their bets on art as a commodity. Already underway and running throughout this upcoming weekend, the Frieze Art Fair sees the meeting of tens of thousands of visitors and contemporary art in London’s Regent’s Park as per custom every year. In its fifth year running and hosting over 150 contemporary art galleries selected from around the world, it features specially commissioned projects and films alongside well-established pieces doing the rounds, as well as a number of talks by the curators and artists themselves. Collectors, gallerists, art-lovers and critics are guaranteed a fine showing whilst enjoying a day out in the centre of the city (weather permitting). Meanwhile, this particular fair provides the perfect opportunity to view works by artists not normally featured in routine exhibitions throughout the commercial gallery network but will inevitably be brought to fame after being viewed there. 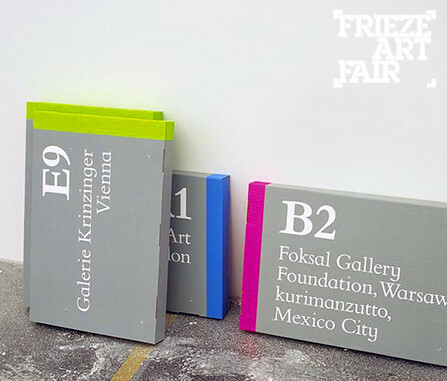 Sharing its name with Frieze Magazine, the fair is owned and founded by editors Amanda Sharp and Matthew Slotover, and in conjunction there exists the non-profit organization of the Frieze Foundation overseeing the lectures, projects, avant-garde music and film programmes — and the career-launching Cartier Award, whose winner this year is Cuban artist Wilfredo Prieto. With favourites such as Sadie Coles HQ and Jay Jopling’s White Cube, Frieze 2008 will most certainly be one of the most talked-about events on the arts calendar — not to mention a welcome addition to the month’s list of fantastic cultural events in London (including the much more affordable Free Art Fair). From 16th to 19th October. Site update: The new home of Pieces at Random is now sans ‘.wordpress’, so don’t forget to update your bookmarks and feeds to http://www.shbadr.com!